The deadline to submit an application for the 2019 Vince Murray Memorial Scholarship is May 31, 2019. CPOMA is proud to announce that Wawanesa Canada, the Saskatchewan Government and General Employees’ Union (SGEU PS/GE) and Canada Border Services' employees (CBSA) have made a donation to financially support the Vince Murray Scholarship. ​The CPOMA Scholarship Program is an extension of the association’s mandate to promote the national recognition of fallen peace officers by providing financial support for affected families with dependants enrolled full time in a post secondary educational institution. The program consists of up to three (3) $1000 National Scholarships awarded annually to dependent children of peace officers who have lost their lives in the line of duty and who are part of a CPOMA member organization. 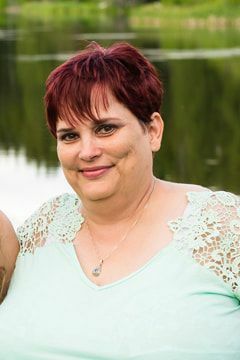 On October 7, 2018 at approximately 8:00 pm, 50 year old Correctional Officer Lesa Zoerb died after being involved in a two vehicle motor vehicle incident while returning to the Correctional Service of Canada’s Okimaw Ohci Healing Lodge (OOHL) in Saskatchewan. Correctional Officer Lesa Zoerb spent her entire 20-year public service career at Okimaw Ohci Healing Lodge. Lesa is survived by her two children. Our condolences go out to her family, friends and colleagues.